It’s no secret by now that I’m in love with Laura Florand’s Amour et Chocolat series. The Chocolate Kiss was another lovely installment full delicious desserts, decadent chocolate, and a passionate romance! Magalie Chaudron works at her aunt’s magical tea and treats shop, La Maison des Sorcieres, conjuring up chocolat chaud (or hot chocolate) to die for. Magalie loves her life, working for her aunts and living above the shop in her tiny but glorious Parisian apartment. (I want to live there! *sigh*) The aunts provide security and roots she never had growing up. Something that is so deeply important to Magalie after a childhood being yanked back and forth from the US to France by her parents until Magalie was old enough to live on her own. This is until Philippe Lyonnais comes along and threatens all she holds dear. Philippe is a world famous pastry chef coming from a long line of famous pastry chefs, and he decides to set up a new shop right down the street from La Maison des Sorcieres. The nerve! Philippe is bewitched the moment he sets eyes on Magalie, but instead of being entranced by him, this little sorcerer is all fire and indignation at his decision to set up a new store in her territory. He can’t imagine why she’s so upset, because there should be enough business for the both of them, but Magalie doesn’t see it that way at all. I just love an antagonistic romance, and Magalie and Philippe’s was perfect! Not too much hatred and pushing to make it frustrating, just enough to make it entertaining, and build up exciting heat and tension! Because, let’s face it, we all want them to cave and give into what’s really going on: a simmering intense attraction! Laura Florand excels in writing scenes full of sensual buildup, and her prose is gorgeous! He brought his mouth to her exposed throat. Not a gazelle, not a gazelle, she reminded herself as he ripped not her throat but her heart out with a hungry little growl. All her will dissolved under the feel of his mouth, his barest graze of teeth, the touch of his tongue, the burr of his jaw, against her skin. To be honest, there is more depth to this story than that, especially in regards to Magalie. She has major insecurity issues when it comes to relationships. Every time Magalie was yanked between continents, people moved on without holding a spot in their heart for her. I have to say, I was so angry with her mother’s selfishness! You could easily see why Magalie had a hard time believing someone would care for her long term. It took patience and determination on Philippe’s part, but also willingness from Magalie, to let the past go. I appreciated that when she knew the past was unfairly coloring her view of Philippe, Magalie would do some logical thinking and shake off the doubts. The aunts were also instrumental in her healing, patiently giving Magalie the stability and love she so desperately needed. To me, they were her true parents. Taste them. You’ll never recover. Put one into your mouth, and you’ll melt for me every time I look at you. The descriptions of Philippe’s macaroons sounded utterly divine with each being a unique masterpiece. 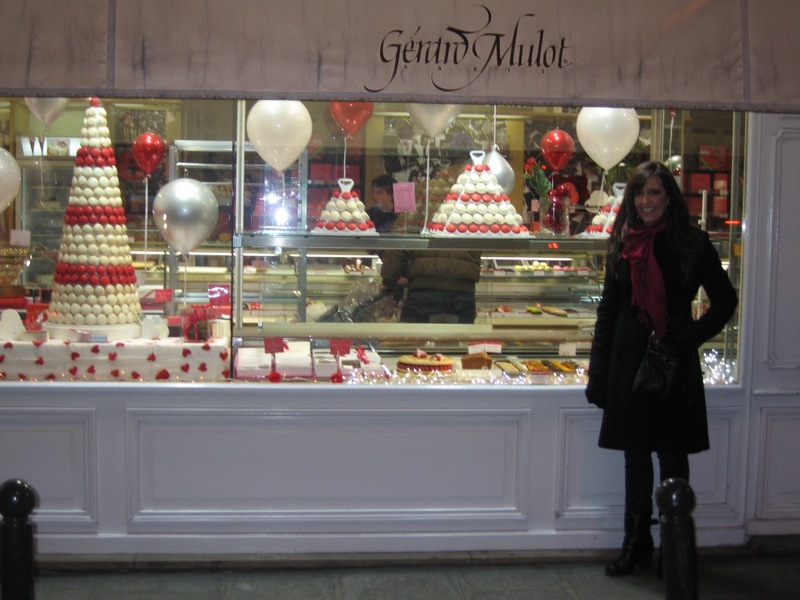 I actually went to a patissier while visiting Paris last year and the shop was beautiful (see picture below)! The desserts really do seem like art and the macaroons were like little jewel-toned wonders! I just can’t get enough of this enchanting series! The audio version was just amazing! Teri Clark Linden exudes charm and flair and her pronunciation of the French phrases were wonderful! The next in the series switches narrators and I don't know why! I listened to a sample and didn't care for the change. I LOVE this series (like you can't tell by now!) 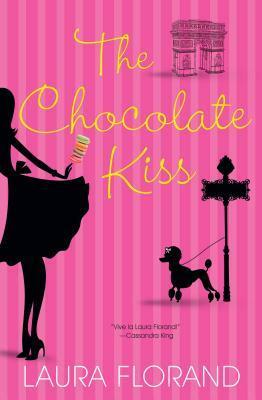 so I'm giving away a copy of The Chocolate Kiss (Amour et Chocolate #2) to one lucky winner. This is an INTERNATIONAL giveaway as long as The Book Depository ships to your country. I'll give the winner the option to pick the Audio Version (through Audible) or a Paperback copy from The Book Depository. Poor Magalie - I hope Philippe can help her with her trust issues. Thanks for sharing your love for the series with all of us, Rachel! I rarely listen to audio books, so I would like a paperback… Thanks for the giveaway! Okay, how sweet and delicious does this story sound?! I'd never have considered this series had you not pointed me in its direction, Rachel. It's on my TBR though, and I really can't wait to give it a go! Lovely review, and a Happy Valentine's Day to you! I truly love an antagonistic relationship with the sparks flying. 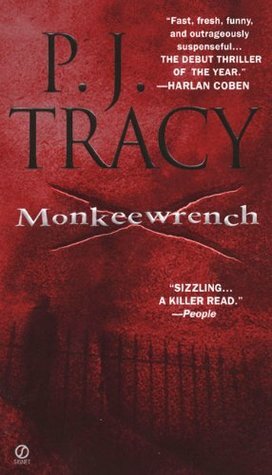 I really liked the one book of this series I read but I was hungry the whole time (a sign of great writing!). Pretty darn cute. I think my wife would enjoy a paperback copy. Thanks and Happy Valentine's Day everyone. I love your review, Rachel! My post for books 1 and 6 go up Sunday, And I can't wait to continue the series. Love it! The passionate romance and decadent chocolate sounds amzing to me. I read this last winter and I loved the little chocolate shop and the antagonistic romance. I thought the aunts were fascinating as well. I love chocolate and chocolate themed romances :) I would love a paperback copy and trust me, there will be a box of chocolate consumed as I read! Thanks for sharing! PB would be fantastic thank you. 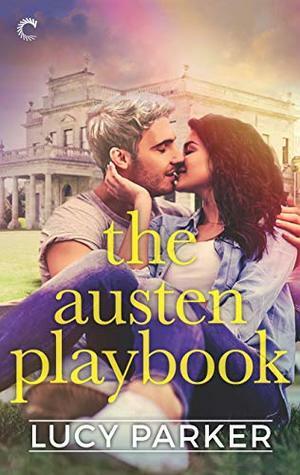 I would definitely go for the paperback version :) I have seen your review for the first book as well Rachel and I'm so glad the second book is just as amazing as well. Thanks for sharing! 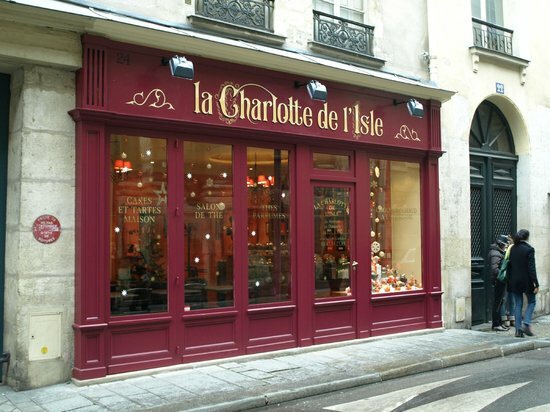 I adore that photo of you in Paris as well, and I like seeing the shop that inspired the one in the book. I enjoyed The Chocolate Thief even though I didn't love it. Still, though, I do think that Florand knows how to write a tantalizing romance and I'll be returning to the series eventually. Lovely review! I would love to have paperback version please. I haven't read this one but I already have the 4th book, The Chocolate Touch, on my tbr pile. Can't wait to 'devour' that one! If I win I would love to have the paperback. There is something about actually holding a book and turning the page that helps me feel more into what I am experiencing. Thanks for the chance to win a wonderful book. Love this cover! So cute! Paperback for sure. I love the actual books.